I recently got a new plate in from Born Pretty Store, Bp-L 005, and it has a multi-lined chevron section image I had been dying to try. I decided to spruce it up by using advanced stamping. I finally learned to leave the image on the stamper and then stamp it onto my nail – if both the surface of the nail and the back of the stamp have the same top coat over them, they can adhere fairly well when both are just barely dry and you don’t get any image slide! I let my painted decals dry overnight. 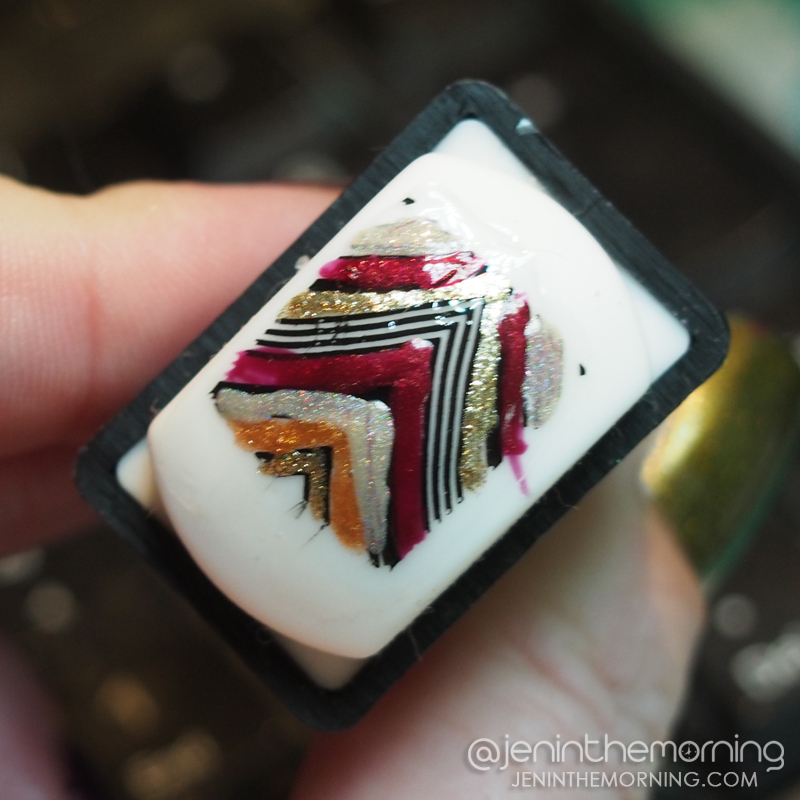 For this method I did NOT peel them off the stamper (more on that below). 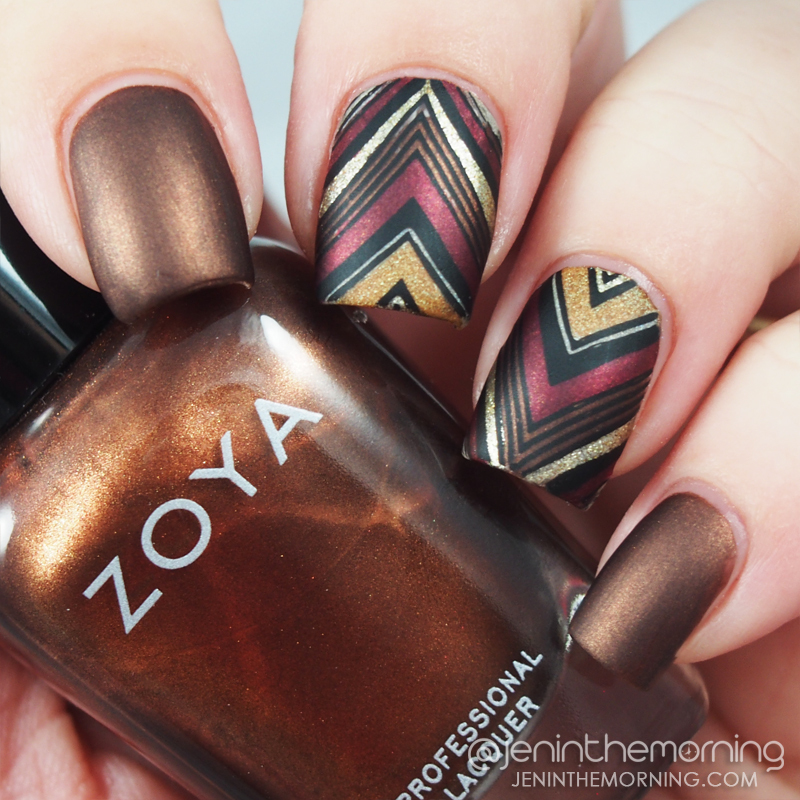 To start off my mani, I applied two coats of Zoya – Cinnamon to all of my nails and applied a coat of Seche Vite to each. I immediately applied a coat of Seche Vite to my dried decals and allowed them to set up for about 30 seconds. When the decals were just barely touch dry, I used the stamper to apply the stamp directly to my nails, using a back and forth rocking motion until the stamp had completely released from the stamper. I decided I wanted to see how the looked matte, so I applied a coat of NYC – Matte Me Crazy to all nails to finish off the mani. 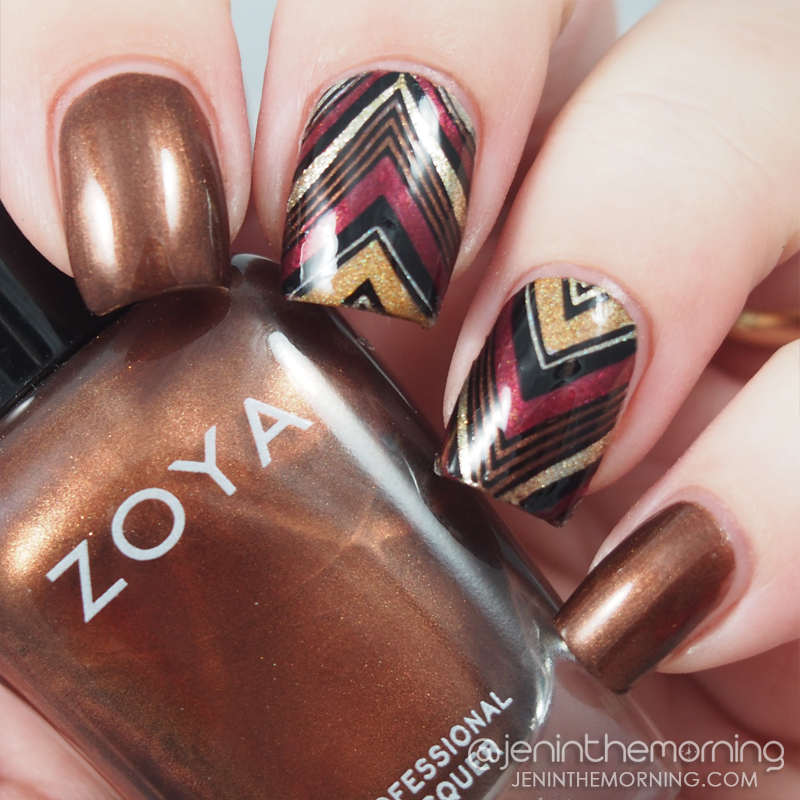 I am so in love with how this mani came out and I may re-do these to be my Thanksgiving mani – though I may spruce it up with a bit of dark teal (maybe ILNP – Fall Semester?) I’m not sure why, but applying the decal using the stamper works so, so much better for me. I’ve been in awe of this technique for so long and I am so glad I have now found a way to make it work for me! 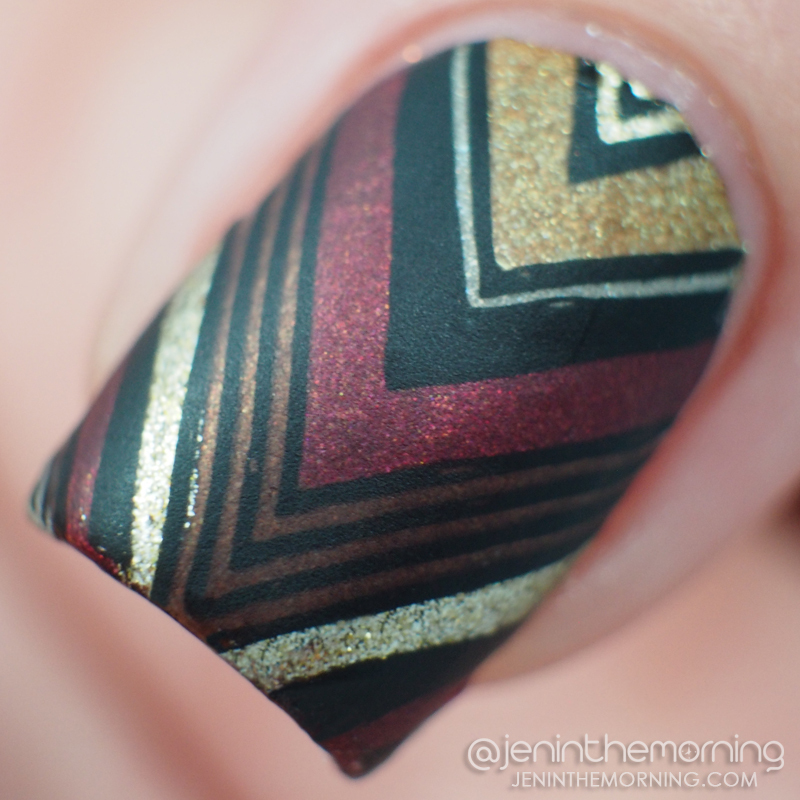 Have you used advanced stamping before? If so, what application method do you use? That turned out perfectly! I may try to leave it on the stamper next time. Also, this is amazing matted. I found it to be much, much easier to get it to lay flat this way. This is gorgeous! I love it matte!